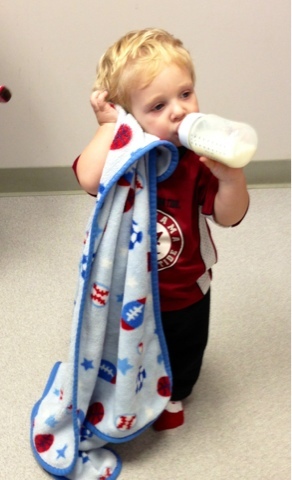 Here's a pic of Ash with his blanket and bottle. Cutie pie! !